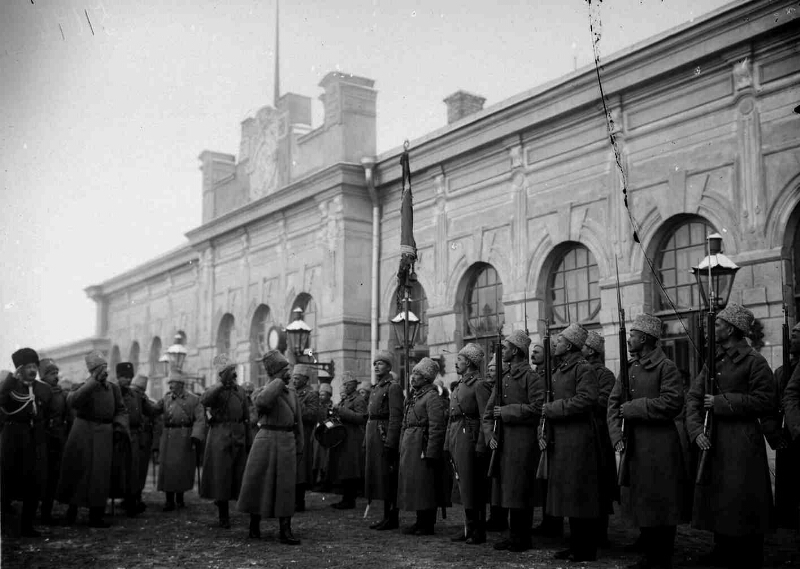 Meeting of Emperor Nicholas II at the station in Sarykamysh. Nicholas II bypasses the guard of honor [Izomaterial]: [photo]. - Sarykamysh, December 1, 1914. - Contact seal from a glass photoplate, black and white; 18x24 cm. - In the retinue of Nicholas II: AN Grabbe (left), PK Benkendorf (third from the left) .